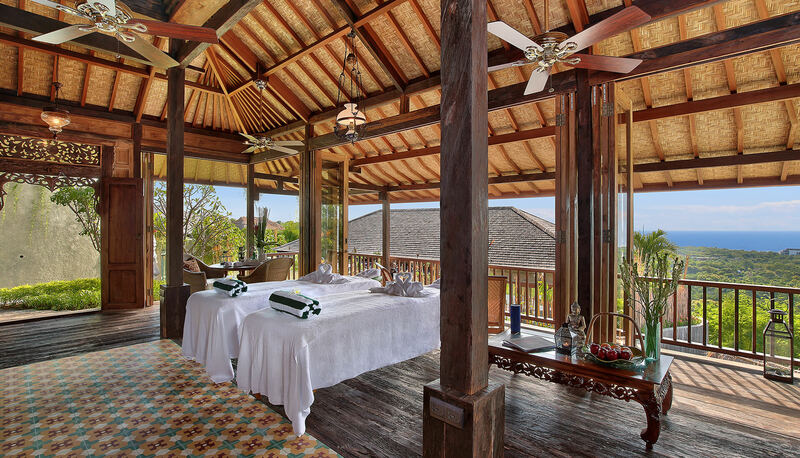 Enjoy sweeping views of the Indian Ocean from the comfort of your bed, private jacuzzi or balcony that spans the entire front of the property. 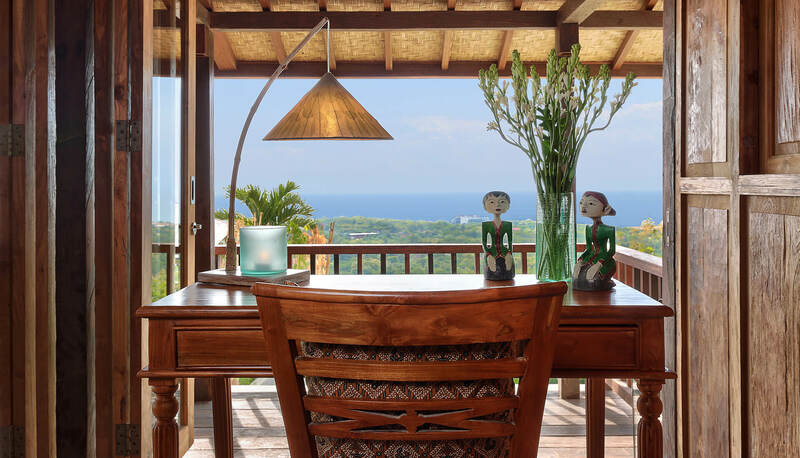 The Javanese decor is designed to perfectly capture the essence of Indonesia: a fusion of island beauty and traditional elements. 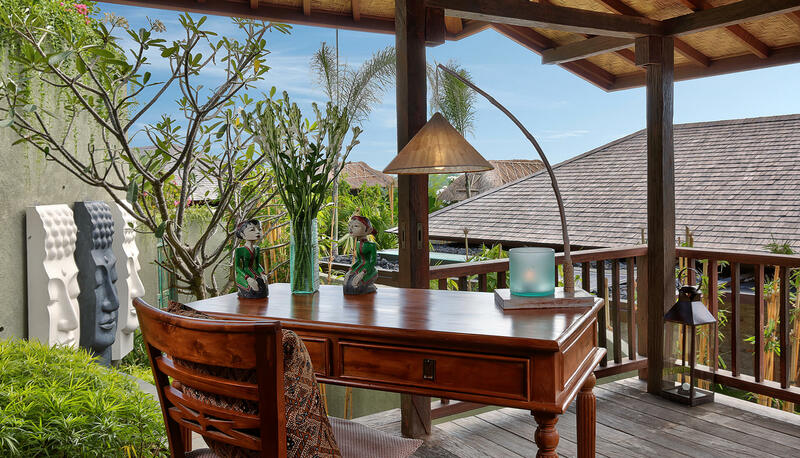 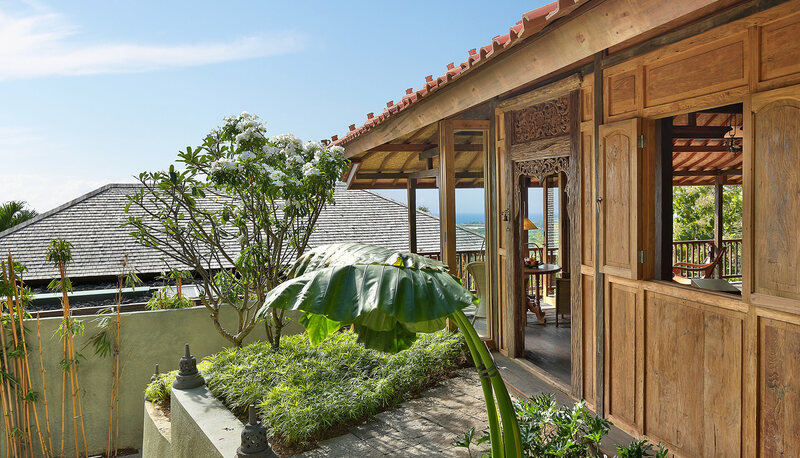 Though the smallest of our villas, with it’s Javanese design and wooden fit out, Joglo provides an intimate ambience, making it far more than just a place to lay your head. 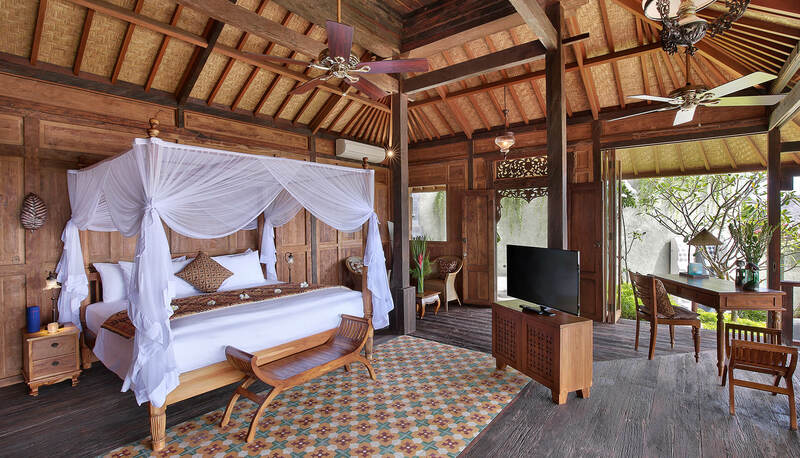 The villa comes with features such as a Nespresso machine, a king sized Therapedic® mattress and 400 thread count sateen sheets. 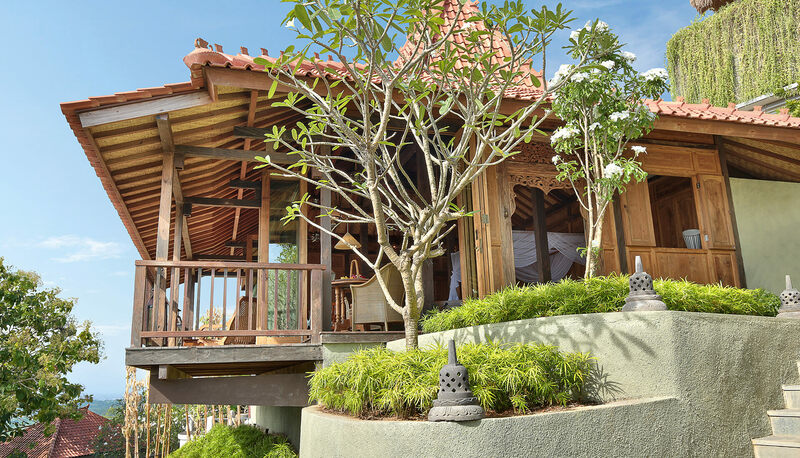 We booked the studio villa (Joglo) and were pleased with the comfort level. 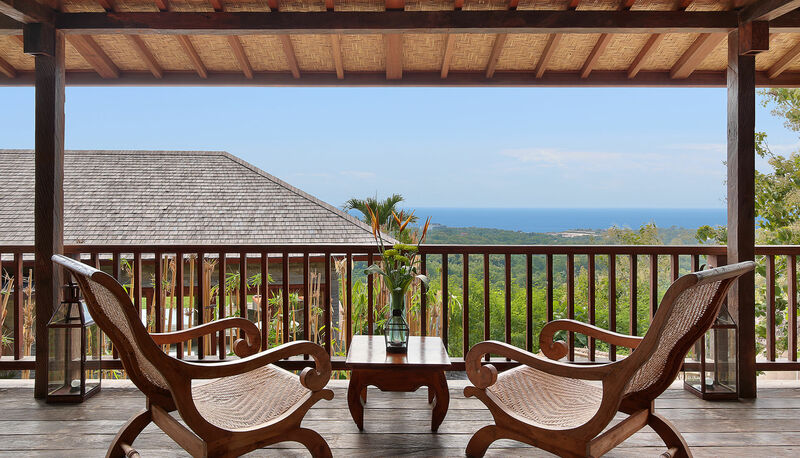 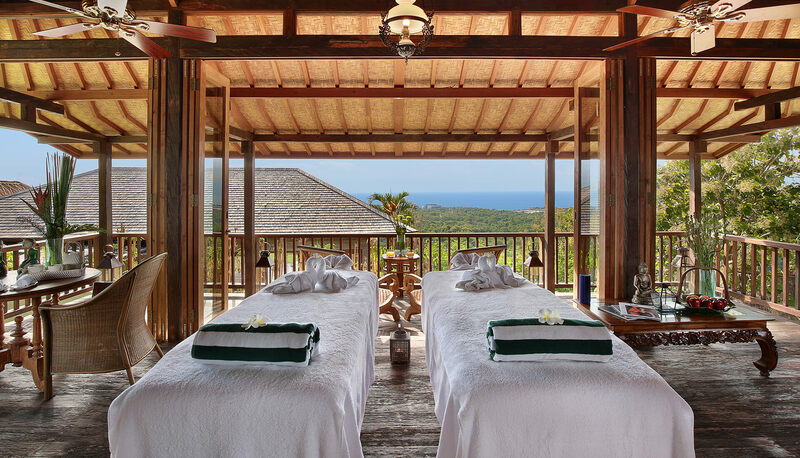 Due to the way the 6-7 villas are located on the property you get a feeling of total seclusion and privacy...It’s spacious, has a great view, a huge and very comfortable bed, and the bathroom is gorgeous.